As I sit reading a thank you letter from a Marine who received a care package from us a few weeks ago, I see first-hand how important is the work we do. This Marine tells about their Navy Doc who was killed and two Marines who became double-amputees recently. The care package he received from us included letters from kids here in the U.S.A. that thanked him for his service. This Marine likely is unaware that our support for his men goes well beyond the care packages and that I know first-hand that we're currently supporting both of the double amputees and their families through Purple Heart Hero Support™. And we're also teaching Operations Security (OpSEC) at every opportunity to the families who read the website, receive our newsletters, and are members of Marine Family Network. He says "We're currently holed up [in a place with no electricity or amenities of any kind] so getting mail out here is a huge morale boost for us. It's very reassuring to receive letters from total strangers showing their appreciation for what we do. I'm thankful for the time you took to write me a letter and put together a care package." I want to take this opportunity to share with you the outreach programs we provide, and some news about OpSEC that is critical for the safety of our Marines and their families. I hope you enjoy this issue of our newsletter and will forward it to folks you know that will benefit from the article but may not be registered for our newsletters. Purple Heart Family Support™ is now Purple Heart Hero Support™! While we continue to support families, we want to assure that you know your donations are going to support the men and women who have been injured in the line of duty. "Changing the name is a more accurate reflection of who we're supporting" said Barb Patterson, Director of Outreach Programs for MarineParents.com™. "Our energy is more aligned to helping our wounded heroes now more than ever." You can support our wounded through Purple Heart Hero Support™. Learn more about the program, what we do, and how you can help: click here. Here's a scary war story: In 2007, when a fleet of new AH-64 Apaches arrived at a base in Iraq, several soldiers snapped shots of the choppers. Those images made their way online - along with the invisible metadata that gave away the compound's precise location. Armed with that information, insurgents launched a mortar attack that destroyed four of the helicopters. From the Revolutionary War to the wars in Iraq and Afghanistan, mothers throughout America's history have always seen their loved ones heed the call to duty. And with that duty comes the ultimate burden that these mothers must bear. 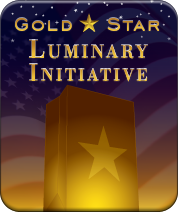 Lighting a luminary on Gold Star Mother's Day lets them know they don't stand alone. It's time to get started. September 30 is around the corner. You are being asked to take part in a military family study being conducted by researchers from Purdue University. The purpose of the research is to better understand how family members encourage their loved ones who have recently returned from military deployment to seek mental healthcare when needed. We realize these conversations can be difficult. Our purpose is to gain a deeper understanding of how family members try to talk to service members about seeking help and what their goals are during such conversations. To thank you for completing the survey, you will receive a $10 AMAZON GIFT CARD! Click here. 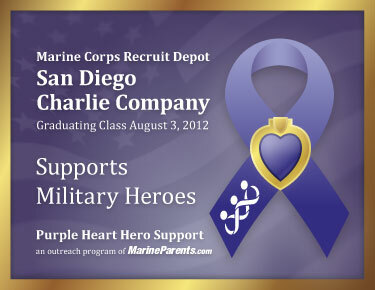 We wish to express our appreciation to the San Diego Charlie Company, August 3 graduating class for the generous donation of $840.00 to Purple Heart Hero Support™, an outreach program of MarineParents.com™. The families of the new Marines held a fundraiser during a dinner the week of graduation. Thank you for your support! 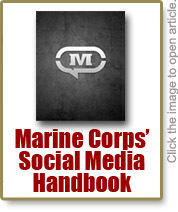 The banner photo is a Marine Corps photo taken 8/27/2012 By Cpl. Ed Galo. Marines with Scout Sniper Platoon, Alpha Company, 1st Battalion, 1st Marines, Regimental Combat Team 6 exit a compound in Agha Ahmad, Afghanistan, Aug. 27, 2012. The Marines with Scout Sniper Platoon and their attachments stood in an over watch position to provide surveillance and gather intelligence on the enemy as part during Operation Helmand Viper.